Transport Services Minister Chloe Fox has officially launched Adelaide’s new Metrocard smartcard ticketing system. "It will now be so much easier and quicker to board a bus, train or tram," Fox says. "Commuters simply touch the Metrocard to a validator as they board." deduct the correct fare and display any remaining balance. "Commuters also will never have to worry about carrying a different ticket depending on the time of day they travel," she says. relevant concession cards for discounted fares. Fox says the current magnetic multi-trip tickets will gradually be phased out while single and day-trip tickets will remain. She says the once-off cost for the Metrocard is $5 or $3.50 for students and concession passengers. 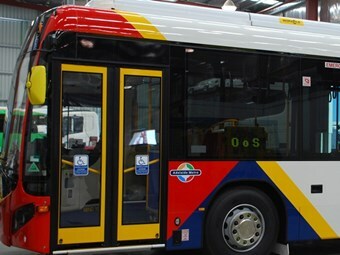 "Adelaide commuters can purchase the rechargeable Metrocards to travel on all Adelaide Metro buses, trains and trams," she says. The Metrocards can be purchased at selected Metrocard agents and the Adelaide Metro Info Centres on Adelaide Railway Station and Currie Street. According to Fox, during November, commuters can also purchase a Metrocard at mobile ‘metroBooths’, which will be set up at retail locations including Rundle Mall and major suburban shopping centres. says the cards can be recharged at Metrocard agents and Adelaide Metro Info Centres and using vending machines at the Adelaide Railway Station, onboard trains and trams, at CBD tram stops and bus interchanges. "Adelaide Metro Info Teams will be at key locations over the next few weeks to assist commuters in using the new system," she says. to be available by early 2013, including an auto-recharge option which will allow cards to be automatically ‘topped up’ when the balance falls below a threshold. Metrocard’s full public release follows a 12-month trial, involving about 7,000 commuters. The Metrocard ticketing system uses technology already operating in Europe, the United States and Canada. The Metrocard’s public release coincides with the first Wi-Fi connected tram going into service. By January next year, the state’s government aims for the entire tram fleet and 20 buses is be capable of offering commuters free Wi-Fi as part of a 12-month trial.